Categories: News | 21st August 2017 | Author: LittleTim | Comments (0). 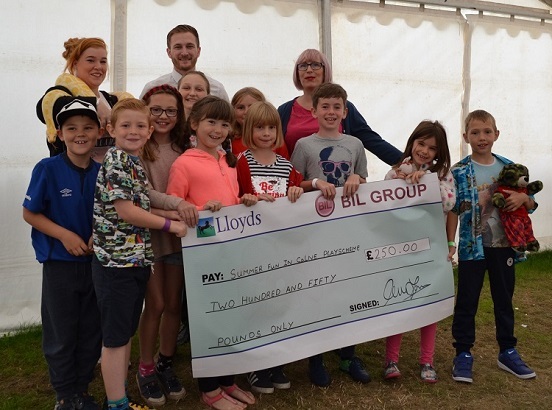 The BIL Group were recently approached by Stevie Whyte from a local charity who run the summer fun play scheme in Calne at the Beversbrook Sports Facility. Calne Summer Play scheme runs for 4 weeks in the Summer Holiday for children of all abilities, aged 6 to 13 years. There are a wide range of art, craft, games and sport in a safe and child centred environment. The Play scheme was first established in 1998, and is run by a voluntary committee. Funding is received from local organisations, charities and businesses, as well as local fund raising activities. Every little help brings sunshine that bit closer to the children of Calne; and the BIL Group are happy to be a part of that!